Pep Guardiola has praised Liverpool for their season so far but says his focus is to keep winning games with Manchester City. Manchester City manager Pep Guardiola says Liverpool fully deserve their place at the top of the Premier League. 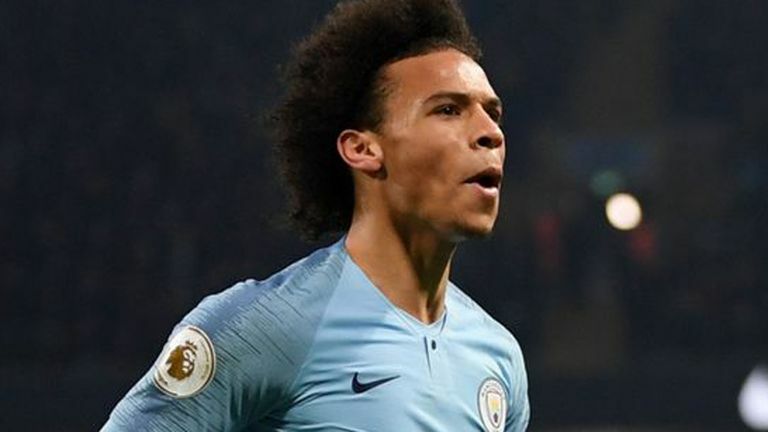 Reigning champions City face a tough battle over the last 16 games of the season to defend their crown, trailing Liverpool by four points heading into the weekend's fixtures. City could find themselves seven points adrift by the time they face managerless Huddersfield on Sunday, with Liverpool strong favourites to beat Crystal Palace at Anfield on Saturday. 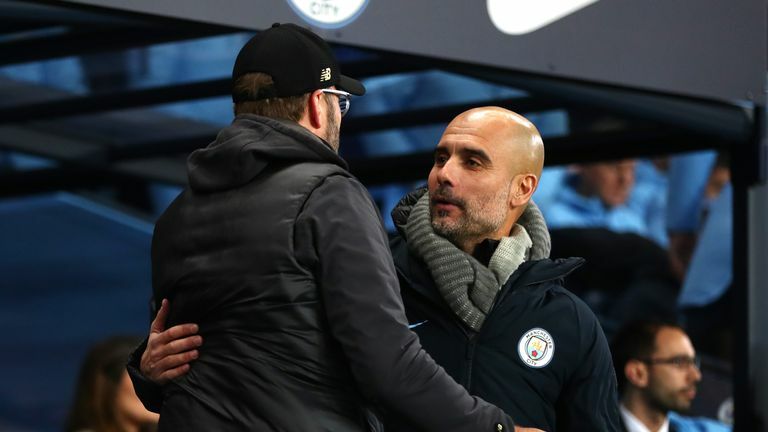 Although Guardiola was able to celebrate a 2-1 win over Jurgen Klopp's leaders earlier this month, he accepts City have a big challenge ahead of them to catch and pass Liverpool. 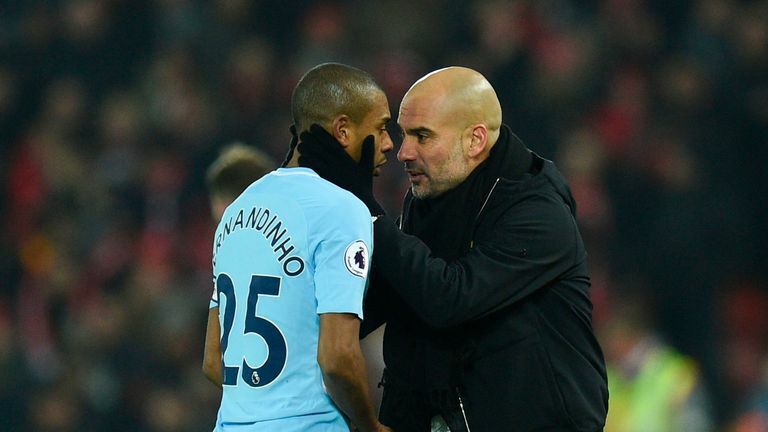 "We still have a lot of games to play but all I can say right now, to Liverpool, and what they have done so far, is hats off," Guardiola told Sky Sports. "When a team wins this amount of games, and win in that way, it is not because they are lucky or in one short period - that's why for us it's a big challenge. "We have to be there, to make them feel we are there. That is all you can do when you are behind. "The best way is winning our games and producing through our games and the way we play the feeling for our opponents of 'they are strong'. That is the only way. Pep Guardiola says Manchester City have identified 'three or four' potential defensive midfielders as transfer targets. "I will not say this season is better than the previous season - it is a different challenge and we knew it. "We spoke from the beginning that we cannot expect to win 18 games in a row, or to have the opponents in January or February be nine, 10, 11 points behind us. "We cannot deny it - there is one team in the Premier League up to now that has been better than us. We have to accept it and challenge them."